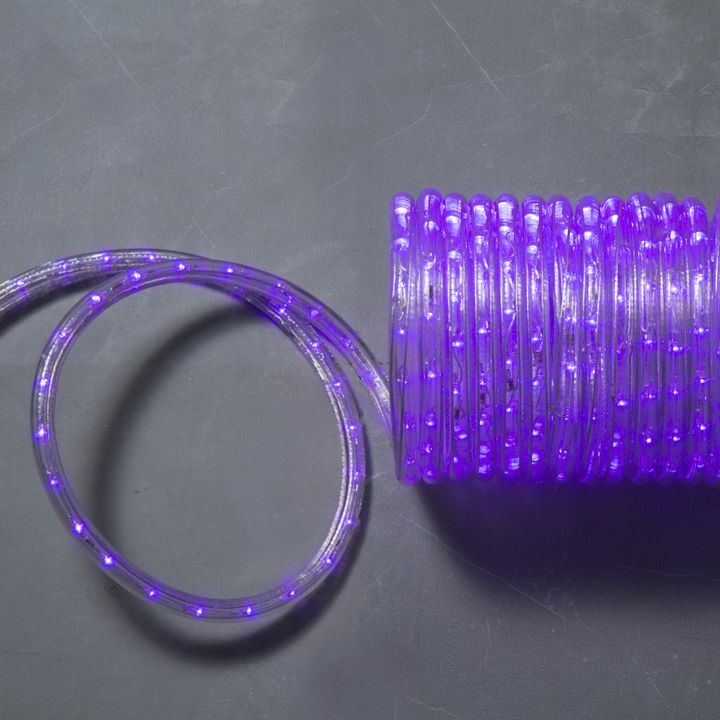 There are only 143 available of the Super Bright Plasma Expandable LED Plug-in Rope Lights, Purple. Your selected quantity has been adjusted. 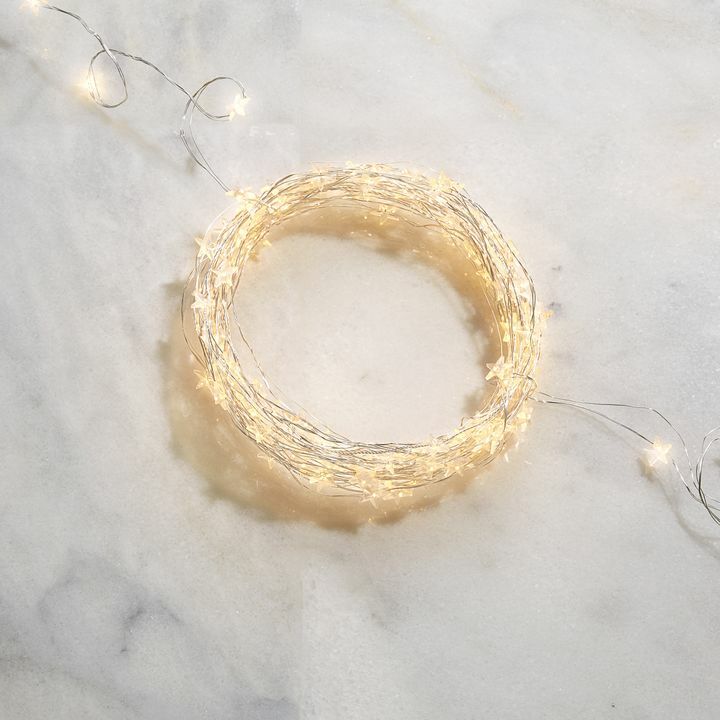 These heavy duty, luminous rope lights are perfect for both special occasions and year round use. 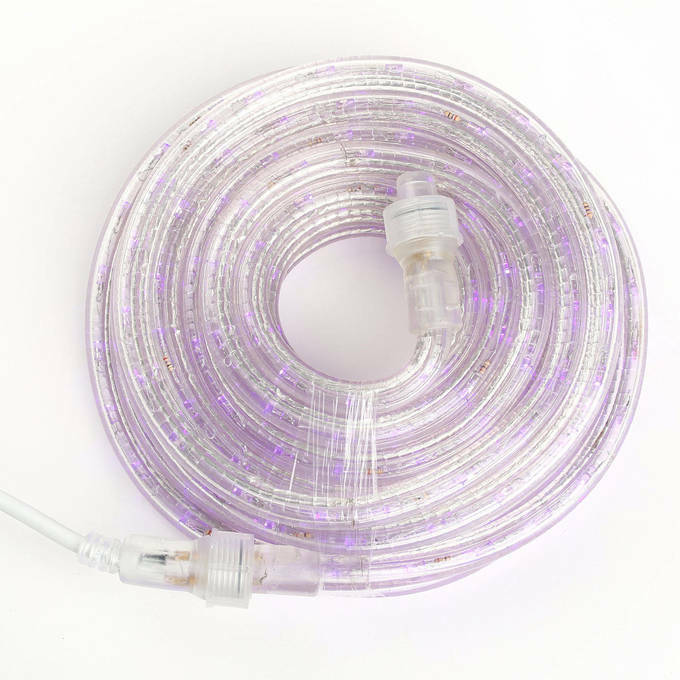 Features nearly three-hundred bold, purple LED lights staggered along 26 feet of durable plastic tubing. Line along patios, gardens or stairways or wrap around handrails for a festive touch. 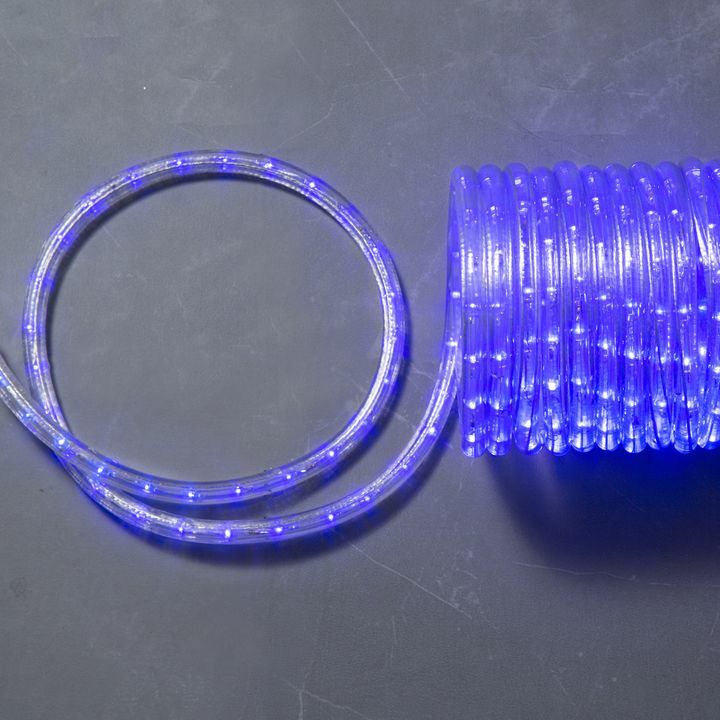 These rope lights are truly super bright, and brighter that anything else IÐ²Ðâ¢ve ordered online. Would submit pics, but donÐ²Ðâ¢t see that option. Buying more to expand the scene. Great service, delivery and the product is exactly what I wanted. 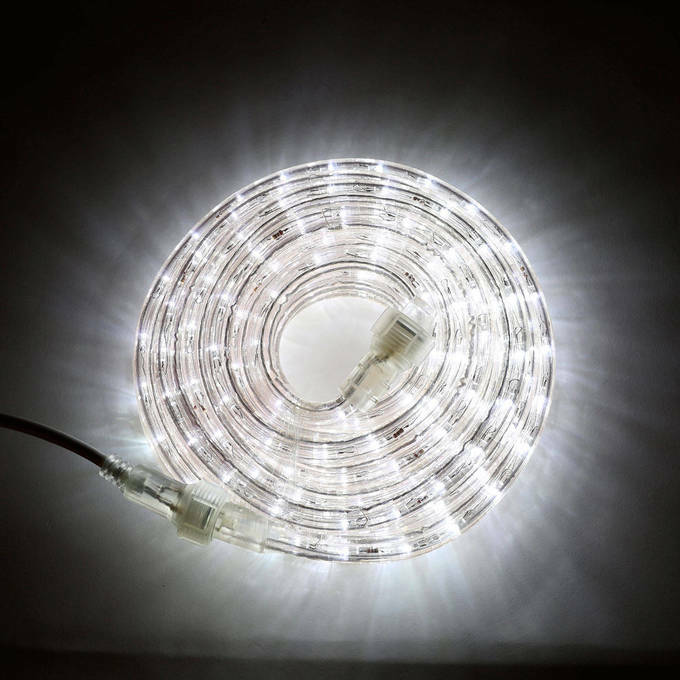 Use for ceiling lighting in foyer, perfect. You make a native New Yorker proud!! Got these for my daughter's room under her loft bed and she loves them!!!! I intend to stand a 90' Cypress tree for the Holidays. What is the external temperature rating allowed as I live in Northwest Indiana ? I intend to wire tie this to a frame that looks like a flamingo. Can it be bent 150 degrees at the beak of the bird? How long do they last in an outdoor environment? How long are they guaranteed? What is guaranteed? 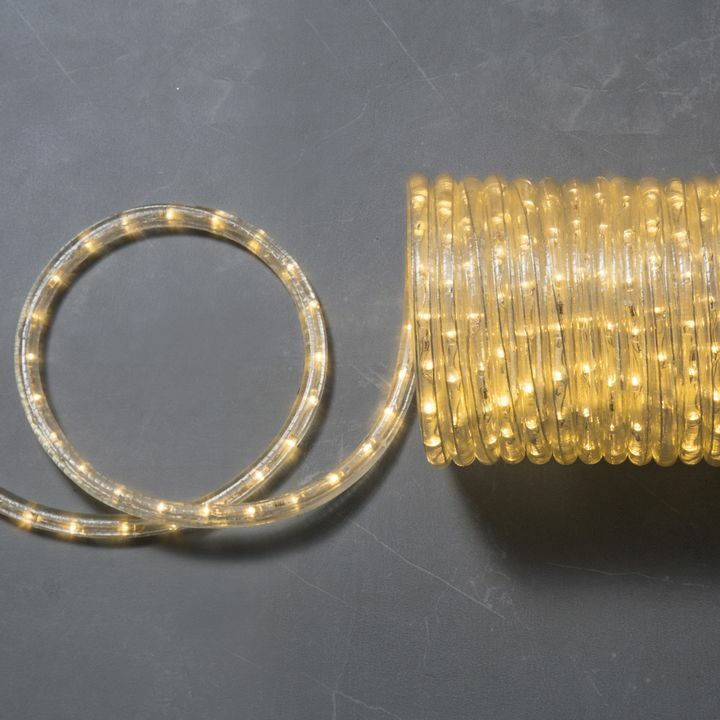 These rope lights are able to bend a little but we can not guarantee if it can cause damage to the LED lights if you bend it 150 degrees. 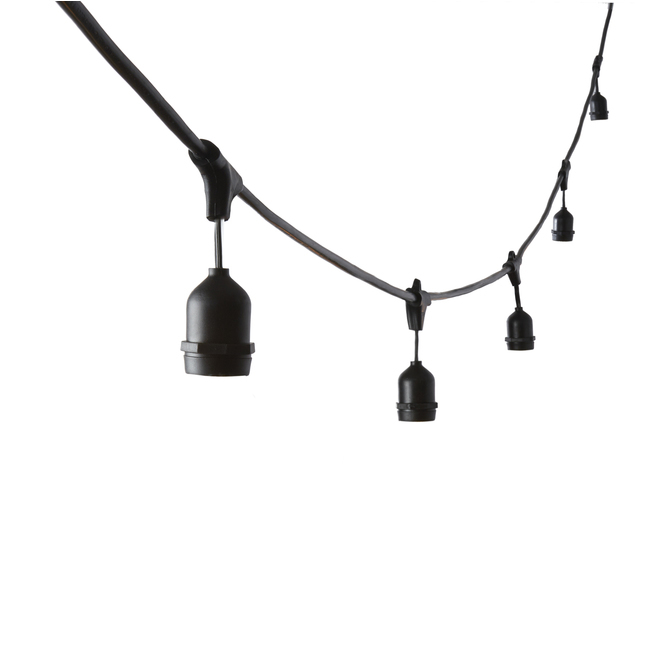 These rope lights are able to last a few years, varies overall depending how frequent you use them. 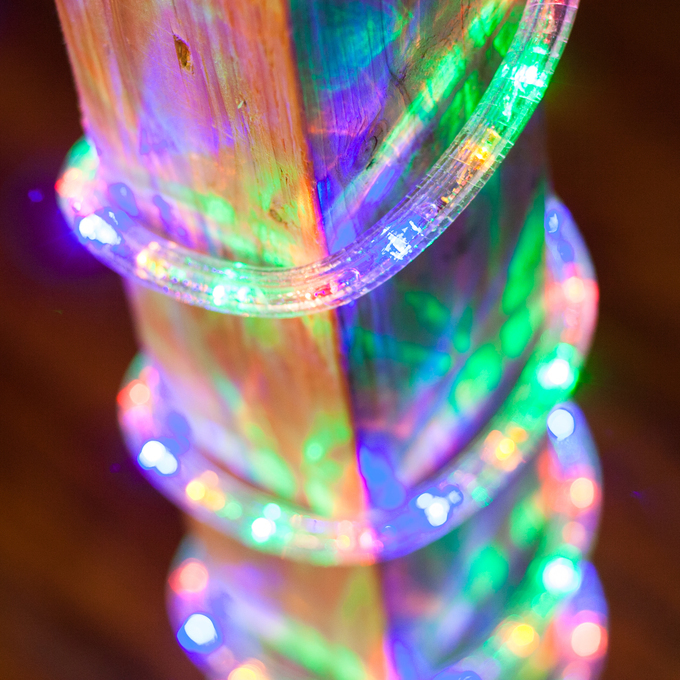 Do lights give a blacklight effect? No they just have a warm purple glow. Can thsee big plugged in? If plugged into an outlet that is controlled by a dimmer, will the lights still work properly? 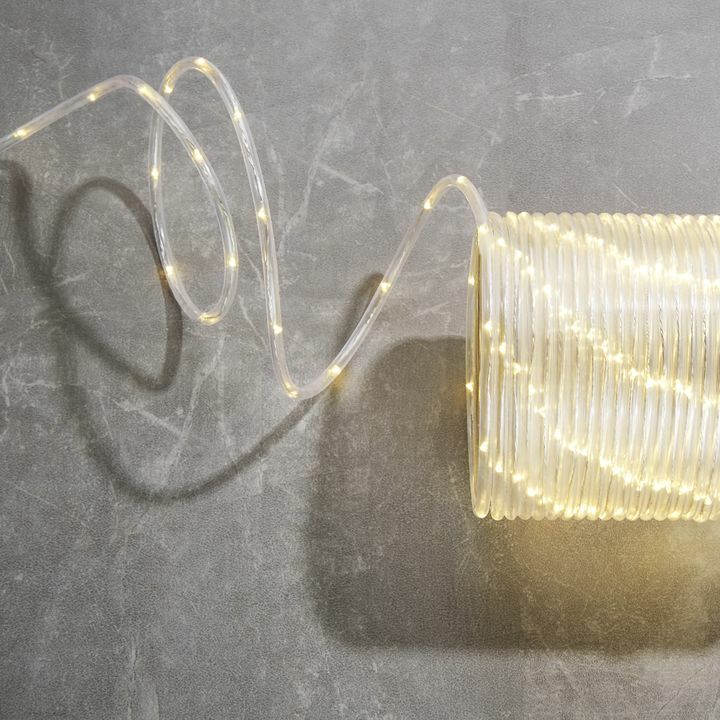 These rope lights are dimmable with any standardized dimmer. The lights will work properly. 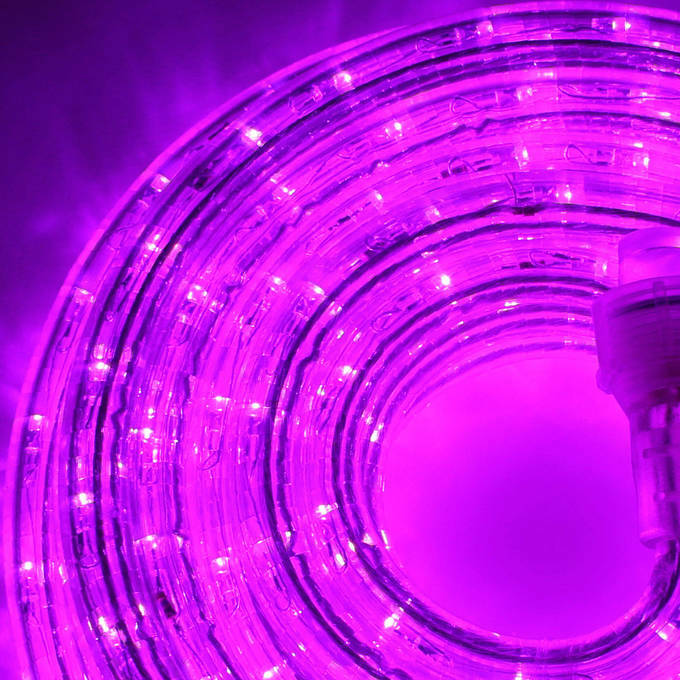 Is this purple light the equivalent of the red and blue spectrums? When dark it is exactly as seen in this picture. As purple is a mixture of blue and red we'd have to say yes. Its about a 400 on the wavelength scale in nanometers. 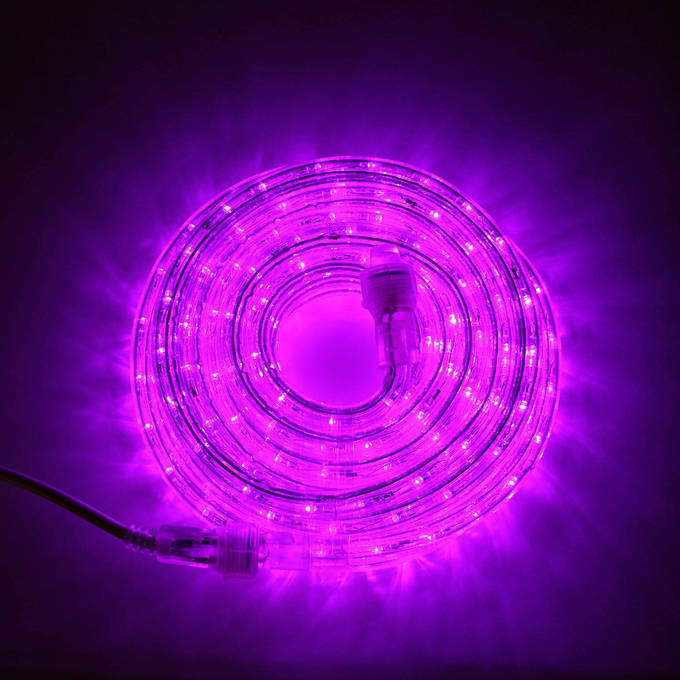 Would this purple be the equivalent of the red and blue spectrums combined? 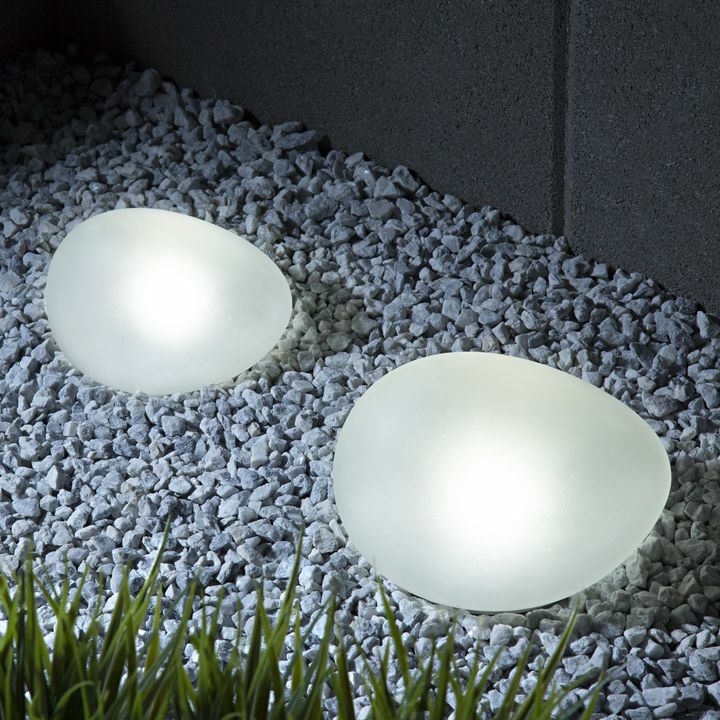 Is this similar to a ufo led light? Its a very vibrant purple. Like a red and blue combines with some lavender thrown in to make it lively. I lime this set but I omly need about 12 feet. Do you sell the purple that way? Is this ready to plug in when I receive it? 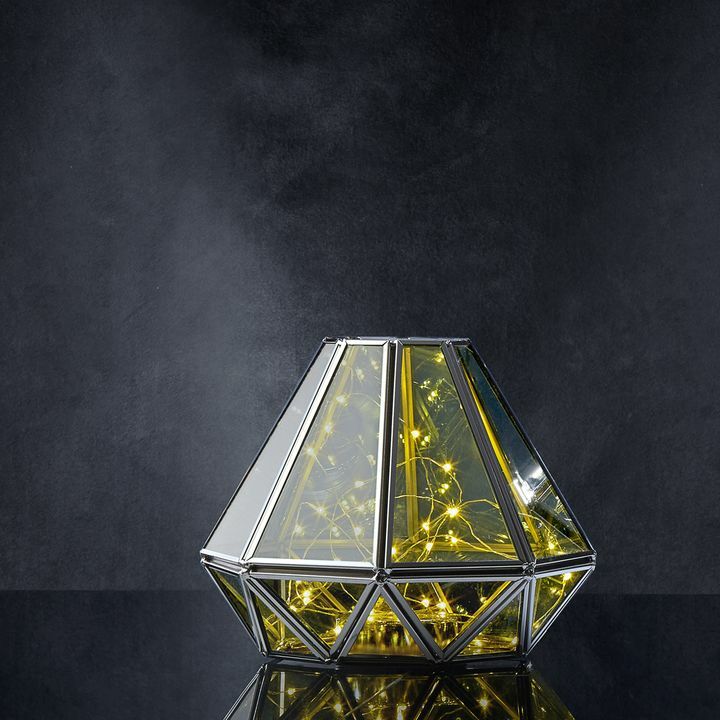 I want to use it over my kitchen cabinets and dont want a strong light, just a pretty glow. Do these have an available remote control? Thank you for there info. 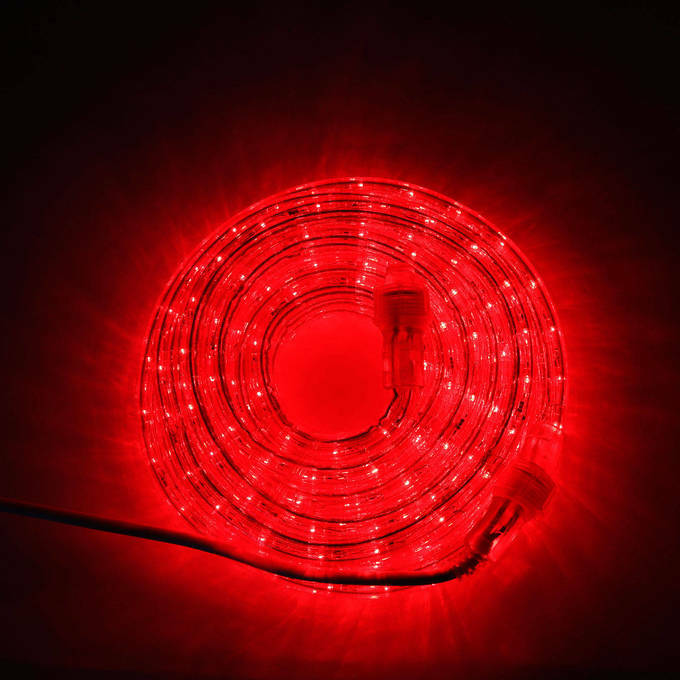 We do not sell them in 12 feet and we do not recommend for you to cut the rope lights because it will void the warranty policy. They are not remote compatible.